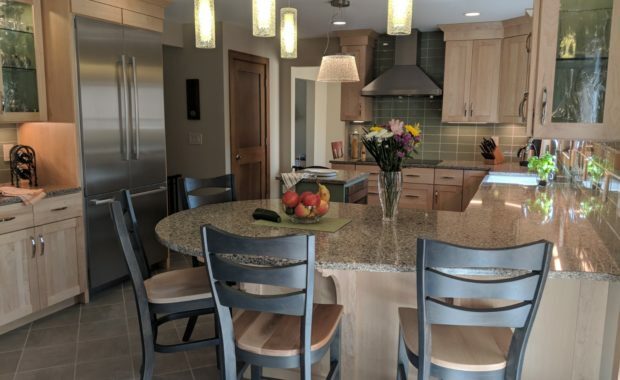 Home - Kalamazoo Custom Kitchens and Baths, Inc.
Our staff will listen to your needs and guide you to your best options and make it as fun and easy a project as you would want. Every project begins with comprehensive conversations. You talk; we listen. 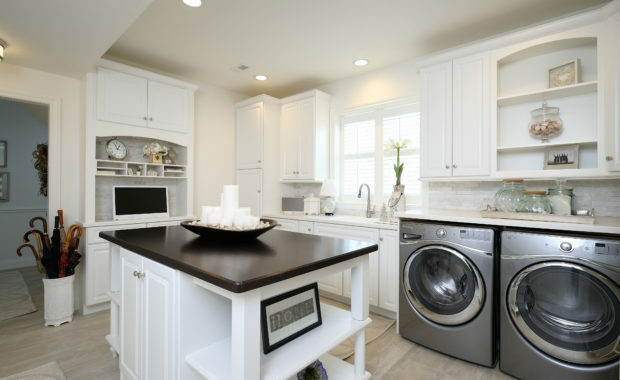 We listen to everything you know you want, what sort of advice and guidance from us would be helpful, and how you see the perfect kitchen,bath, laundry or library for your house, your family, and your life. Your design is generated by our conversations, and what we have learned from you. One of our experienced and creative designers works with you from first concept sketches through final revision, and produces complete plans specifying every detail. When you have approved your plans, we develop the schedule for the work. All of the people who will be in your house from start to finish are our partners or our employees. From the first day, you will know exactly what to expect. Our installers are experienced craftsmen. How do you begin developing your dream kitchen? Begin by conducting the necessary research. Browse through magazines or online for your ideal kitchen. so we walk you through the steps. We absolutely love working with Daryl Ann and her team and are repeat clients. She previously helped us with a bathroom remodel and recently worked with us on our full kitchen remodel. 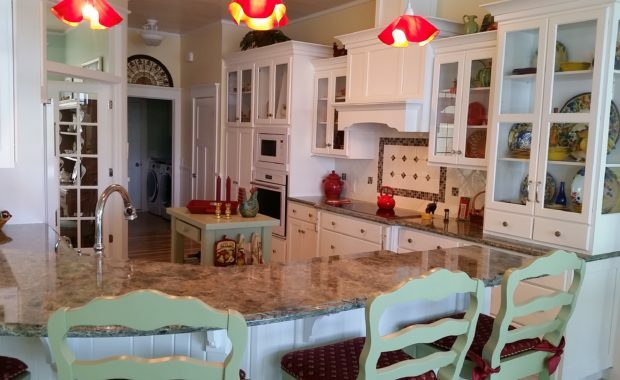 Daryl Ann has the ability to quickly understand our wants and needs and developed a kitchen design that we just love!!! Everything came together perfectly and there isn't a thing we would change. Every detail was thought out to ensure everything fit our needs. Her vision of how to tie the kitchen design into the other aspects of our house so it all flows together worked out perfectly. The customer service of her and her team are unmatched. 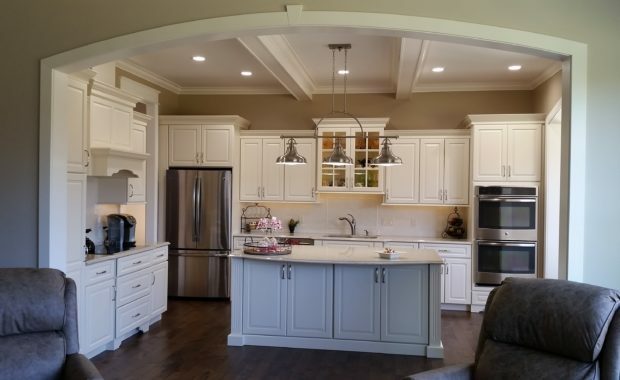 The quality of the cabinets and hardware are amazing. 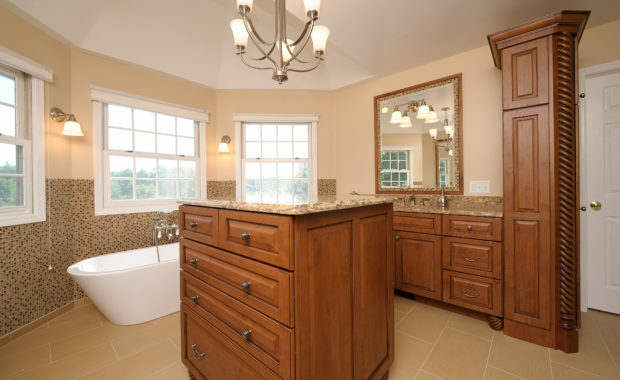 We are looking forward to having an opportunity to work with her again in the future when we remodel our master bathroom. Thanks!!!!!! 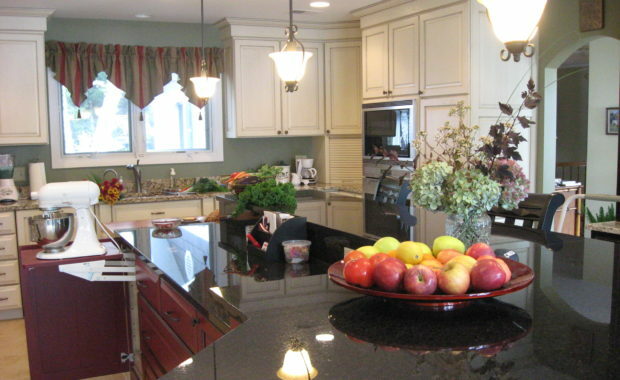 I continue to receive wonderful compliments on my kitchen that Daryl Ann designed over 11 years ago. I wanted to relate that to Daryl Ann that her design and appointments have remained current. The special touches like the diagonal Brazilian cherry flooring, the granite counter tops with the tumble stone back splash are things folks comment on regularly. 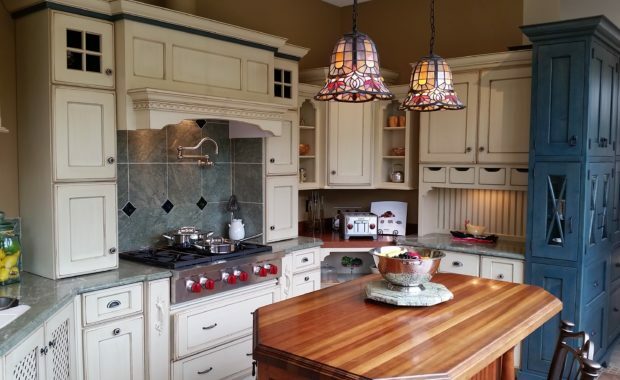 Of course, I love the Grabill maple cabinets as they are beautiful and so easy to maintain. Thank you for the years of enjoyment I have gotten from your design and service. Daryl Ann drew up our kitchen and did a wonderful job for us. She is detailed and gets what you want and has many design suggestions for your space. She is easy to work with because she is client centered. We built a house about seven years ago and are still in love with the kitchen. 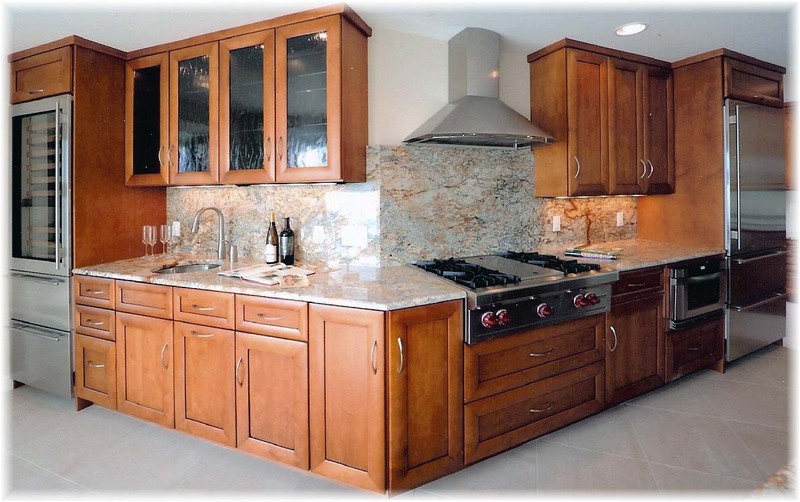 I've also seen many other kitchens in this area that she has done and they are outstanding. Each enhances the home and reflect her clients lifestyle. Twenty years ago Daryl Ann designed the Kitchen in our dream house and not only was it intelligently designed and beautiful, it stood the test of time. When we downsized into our lakefront condo, the first thing that we did was to hire Daryl Ann to design our new dream kitchen. She is extraordinarily attentive to detail, listening to our ideas and wish list and translating them into a work of beauty and functionality. She has a very good eye for shape, texture and color and having been in the business for over 35 years, she brings an ocean of experience and ideas to the table, not to mention impeccable taste. When making choices on materials, colors, etc. my husband's first question was always: What does Daryl Ann think? She spent many hours on site during the design stage and was also there while the contractor installed the project, making sure everything was perfect. Bottom line: She always exceeds our expectations.